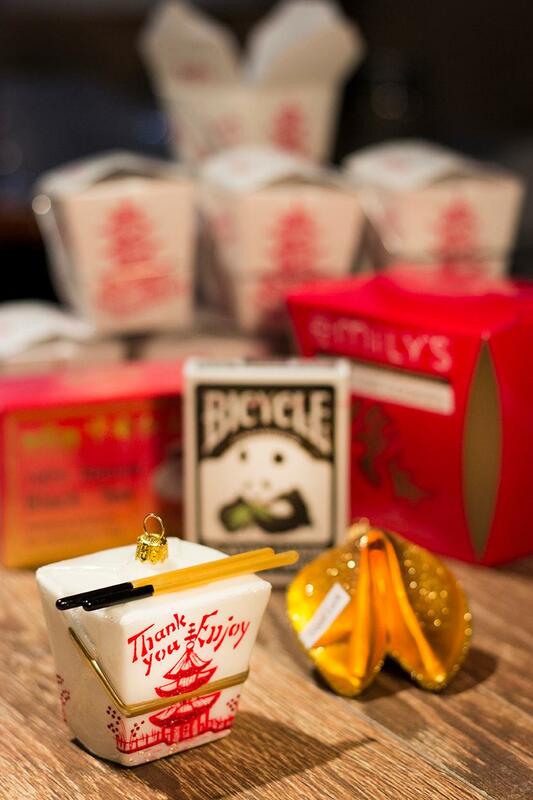 In this edition of Glitter Crunch Box you will receive the Chinese Take-Out Box! 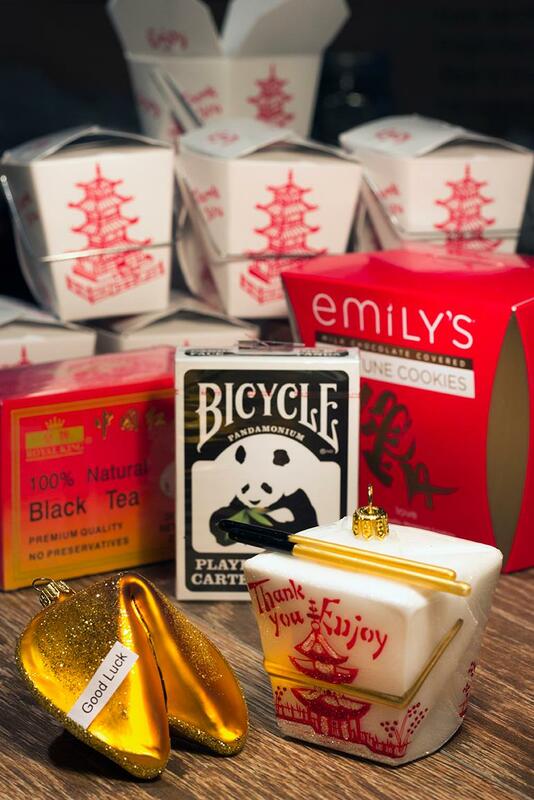 You will receive a hand painted Chinese Take-Out Box European Glass ornament as well as a hand painted Fortune Cookie European Glass Ornament. Also, will receive a pack of Panda themed Bicycle playing cards, one box of Emily's milk chocolate covered gourmet Fortune Cookies, one box of Chinese Tea, and last but not least an One Luos Cultural Goods Feng Shui Coin with Tibetan Buddha Prayer Mala Black Wood Bracelet with Tiger Eye Beads for prosperity and success!